Posted on January 15, 2019 by Phoebe L.
I recently read this book for my English class, and it was surprisingly good to read. Normally reading books for English feels like a chore, but for this book, it was entertaining to read. The book is about young boys from England who crash land onto a deserted island. It is never specified where they crash land but we predicted it was somewhere in the Pacific. The main boys in the book are Ralph, Piggy, Jack, Simon, and Roger. The boys have to learn how to survive in this harsh society they have made. They first start off by appointing a leader and making up rules that are essential to follow. Throughout the book, however, we can see a natural progression of rules being broken and people fighting for power, doing whatever it takes to achieve that–even killing. The book Lord of the Flies is mainly about the innate evil in the boys and if they are affected by the environment around them, or if they naturally had the evil inside of them. During the book, there are sometimes where we are going to have to say goodbye to some characters (no spoilers), but overall it is an amazing book. It is probably the best book I’ve read in English ever! Lord of the Flies by William Golding is available for checkout from the Mission Viejo Library. It is also available for download from Overdrive. 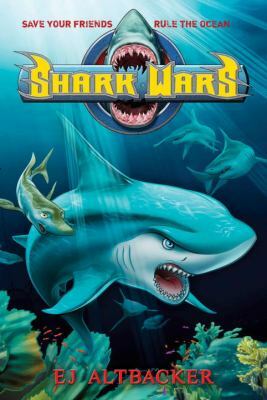 Posted on November 16, 2018 by Brandon D.
Shark Wars is a very interesting book and I enjoyed it very much. The story is similar to the book Warriors. Instead of clans, the sharks are divided by shivers. Gray and his friend Barkley live with the coral shiver. But Gray gets banned from the coral shiver and becomes an outcast, and then things get interesting. I will leave the rest of the story for you to read. E.J. Altbacker did a good job making this book interesting, with lots of good twists and a nice cliffhanger leaves you hungry for the next book. This book is based on the heroic quest base genre. The Shark Wars series is a lengthy six novels total, so try to read them all! Shark Wars features a nice balance of dialogue and fighting, and it also has at least 200 pages, it might take a while to finish the book! Shark Wars has a nice variety of characters, and it has an obvious protagonist and antagonist. Every character in Shark Wars in unique and special, you care for some and dislike others. E.J. Altbacker did a nice job incorporating as many shark types as possible, which I love! A very great book that you should totally read. Don’t miss out on the amazing book, known as Shark Wars! The Shark Wars series by E. J. Altbacker is available for checkout from the Mission Viejo Library. 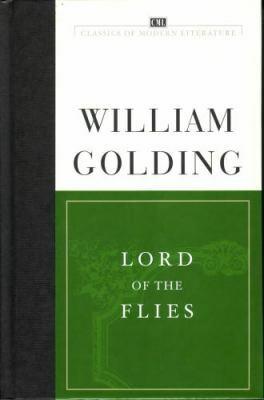 Posted on November 14, 2018 by Angela L.
I recently read Lord of the Flies by William Golding for my English class. When my teacher first introduced my class to this book, I thought it’d be like the other books we’ve read in school last year, and I was not particularly thrilled to read it. 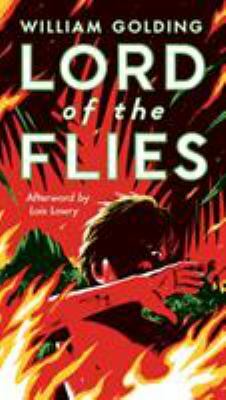 However, the story Lord of the Flies tells is extremely chaotic and I found myself liking the book more and more. The novel is about a group of extremely young British school boys who are stranded on an island and who thought it would be heaven on Earth since there are no adults around and no rules to obey. However, the boys soon realize that they need to establish ground rules and the makeshift democracy seemed to work for a while. To be honest, I didn’t think boys 10 years and younger paid much attention to politics. However, as the book progresses, the reader could tell that the boys are actually shredding their civilized self and becoming more and more animal like and savage. Jack, the main antagonist, even manages to first handedly murder 3 boys who were on the island. I know. I’m shocked too. The novel opens with its protagonist, Ralph, and I found myself disliking the immature, “fair” boy who the others choose as leader of their “society”. However, I felt pity towards the social outcast, Piggy. Piggy is ostracized because he is overweight, has asthma, and he has glasses. I could relate more to Piggy because I’m more or less a nerd myself, and I felt angry at how today’s society isolates the nerdy kids, as well. As the book progresses, the shockingly brutal actions that the young boys perform caused me to think about the savagery that exists in our own society and how Golding is right to stress that everyone has innate evil in them and how it cannot be killed. I like this book for this sole reason: this book is not merely about a group of immature school boys, it is about chaos, fear, danger, savagery, and above all, the degeneration of human nature. Golding cleverly intervenes references, plot, and personalities into his masterpiece and I never thought I’d learn so much about human nature through a book that we’ve read in English. Lord of the Flies has taught me a valuable lesson and I would definitely recommend it for a light read outside of school. 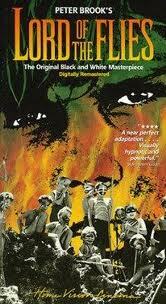 William Golding’s Lord of the Flies is available for checkout from the Mission Viejo Library. It can also be downloaded for free from Overdrive. Posted on June 9, 2018 by DanielC. Every month in English, my teacher assigns the class a certain genre to read. In April, I had tor read a bibliography. I chose Unbroken because I was interested in a war story and had heard good things about the book and movie. I quickly discovered that this was an incredibly touching story about a man and the challenges he faced during World War 2. This story tells interesting facts and stories, making the reader want to read more. Louis Zamperini, a famous Olympian runner, enrolls in the army only to crash land in the Pacific Ocean. He was stranded at sea for 47 days before he and his two other crew mates were captured and tortured by the Japanese for three years! Louis eventually escapes when the war is over, but was never the same man again. The book is well written, switching between gruesome and sad sections to cheerful and funny scenes. This gives the reader an idea of how much Louis was tortured, but is not overwhelming gory. My favorite part of the book is when the Japanese surrender and the war is over because you finally know that Louis is safe. The book is interesting to read with slightly accelerated vocabulary.Exciting and stressful, Unbroken is a great book that I would recommend to middle school students or older. 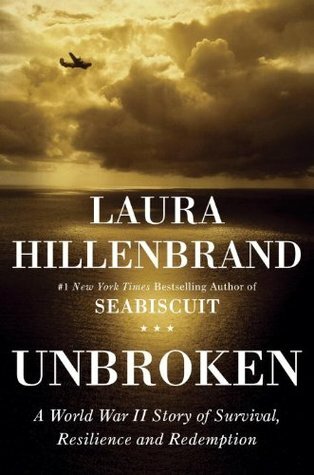 Unbroken by Laura Hillenbrand is available for checkout from the Mission Viejo Library. It can also be downloaded for free from Overdrive. Posted on April 30, 2018 by Megan V.
Mariam and Laila- Two women, born years apart and having incredibly different lives. One grew up in extreme poverty as an illegitimate child, while the other went to school and dreamed of making a difference in the world. However, both are affected by the power changes in the Afghani government, including when it started to regulate women’s lives in the late 1990’s. When they finally meet each other, their world changes despite having no initial relation to each other in the first place. I found this book to be very well written. It was easy to read, especially compared to books such as Shakespeare. Although there are some terms in another language, they are often translated or not as much importance, but still keeps the feeling that you are in a faraway land. On top of that, Hosseini keeps the atmosphere of Kabul, the capital of Afghanistan, very well. He describes food from there, yet also references places such as the Bamiyan Buddhas in order to keep this atmosphere, which is done very well. The characters themselves are amazing. The book is in two different points of view, which are between the women, and one can see how different they are, yet wanting the same things in life. However, the book does get into what Afghanistan is facing now. The book takes place over forty years, so it is easy to see how Afghanistan changes under local rulers to the Soviets and to the Taliban. Especially under the Taliban, we see how women’s lives are changed for the worst. However, we also see the abuse of women by their husbands even before the Taliban, which can also be very depressing. On the other hand, without any spoilers, I can guarantee that the ending is very satisfying, so it is important to stay all the way until the end! Overall, I highly recommend this novel, and encourage others to read it. 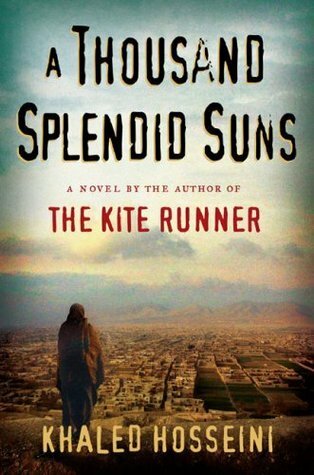 A Thousand Splendid Suns by Khaled Hosseini is available for checkout from the Mission Viejo Library. Posted on January 18, 2018 by Jessica T.
This book may not be the happiest or the prettiest but I must say it is one of the deepest and most profound books I’ve ever read. Assigned to me in my English class at school, I at first did not know what to expect because how can one be the lord of a bunch of flies? Disgusting, annoying little creatures they are . . . However, as our class annotated page after page and read article after article about the human psyche and the never ending violence occurring in the world, I realized how vital this fictional allegory is to our understanding of our society. Based off of his experiences of World War II, Golding writes this futuristic novel during a fictional World War III where a group of English schoolboys crash on an island after their escape plane is shot down. Ironically, these stereotypical private school pupils slowly turn savage, revealing the gross truth about the evil within every man and what dangers can be unleashed when man turns cruel. Taking advantage of being stranded on an island and lacking any parental guidance, these young boys lounge in the lagoon, eat tropical fruit, and attempt to create their own government. They elect Ralph, one of the older, more attractive boys who has possession of a seemingly-magical conch. This democratic government only lasted a few chapters before their separation from civilization is clearly visualized. They become hungry for bloodshed and one of the boys in particular, Jack, desires ruthlessly killing a pig over being rescued. Death and disputes steadily increase, leaving the audience wanting to know what happens next, even if what is to come is not pleasant. Simply put, the plot can be summarized as a fight for power and survival. However, that is to say the least about this thrilling novel. I definitely had mixed emotions while reading. In some instances, I was upset at the character’s decisions and in one chapter, tears were spilling. Golding has a beautiful writing style that touches both beauty and pain and reflects upon the world. This novel invokes one to think about what Golding is trying to reveal about human society and puts the world’s violence, hatred and connate evil into perspective. Posted on January 4, 2018 by Skylar N.
First off, I need to say that this book is a different genre than I normally read. I usually read romance but this novel is more of an adventure novel than a romance. Anyways, on with the review! Ben and Ashley are complete strangers until they meet at the airport. They start chatting and as they wait to board the same plane. The snowstorm becomes too strong and the flight gets canceled. Ben finds a way for them to get home on a private flight, he rushed back to get Ashley who is on her way home to get married. Making things even more interesting between the both of them after their plane crashes, leaving them stranded in the mountains. Ben protects her as their time in the mountains stretches into months. Along the story we get snippets into Ben’s life before any of this happened, as he talks to his wife. All in all I thought this was a great book, it was a little lengthy though. 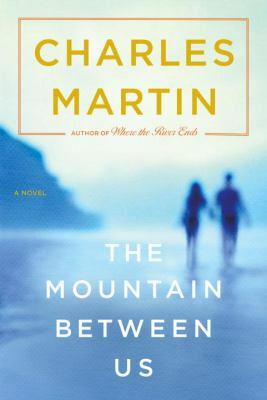 The Mountain Between Us by Charles Martin is available for checkout from the Mission Viejo Library. It is also available for download from Overdrive.